Matthew A. Giesinger graduated with an Honours in Biological Science from Guelph University and a Juris Doctor from Queen’s University. He attended Herstmonceaux Castle in England to study International Law. While in law school, he received the Carswell Prize in Constitutional Law for 1st standing in Constitutional Law. He was called to the Bar in 2010. He articled at Sommers & Roth Professional Corporation specializing in personal injury work. In 2011, he began work for Reynolds O’Brien LLP in Belleville, Ontario, specializing in Family Law and Civil Litigation. There he appeared at the Ontario and Superior Courts of Justice as Duty Counsel and as private counsel in both Criminal and Family law. 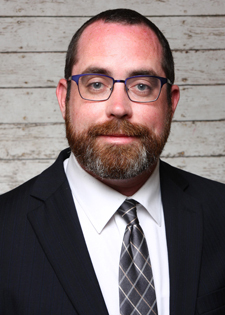 In 2012, Matthew opened his own practice specializing in Family Law. He represented clients at the Ontario and Superior Courts of Justice including decisions such as Ward v. Ward, Grassie v. Grassie, and Bentien v. Bentien. In Matthew’s spare time, he enjoys writing, having published three science fiction novels, a literary fiction novel and a thriller. He enjoys spending time with his 6 year old son, camping, golf and hockey. Matthew is a member of Mensa, in good standing with the Law Society of Upper Canada, and is a member of the Ontario Bar Association.